This article will introduce you to the top 10 signs of cancer and how to detect the disease. Early detection of canine cancer is the difference between life and death. The American Veterinary Medical Association has compiled the ten most common signs of cancer, but these are certainly not the only signs of cancer. 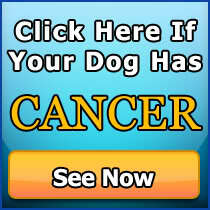 There is no reason to wait until the signs of cancer manifest themselves before learning how to prevent cancer in dogs. Half of all dogs will develop cancer. You can help your best friend’s chances by learning everything you can about canine cancer. 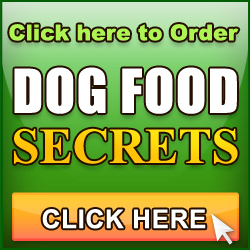 Check out our book Canine Cancer SECRETS today. Some veterinarians recommend doing a monthly exam of your dog. There are some small signs you can look for without even visiting your vet. Try to keep a log of the size of each area for reference purposes. Your veterinarian can teach you how to check these areas if you are unfamiliar. Some vets even recommend making “dermal maps” which will let you chart the current bumps, lumps, and abnormalities on your dog’s skin. Any changes in these bumps and lumps can indicate a problem. Annual blood and urine tests can also help in diagnosing cancer early. Biannual chest x-rays and abdominal ultrasounds may be useful for breeds that are predisposed to hemangiosarcoma or other forms of cancer such as Golden Retrievers and German Shepherds. As the dog gets older, increase the amount of veterinary visits. 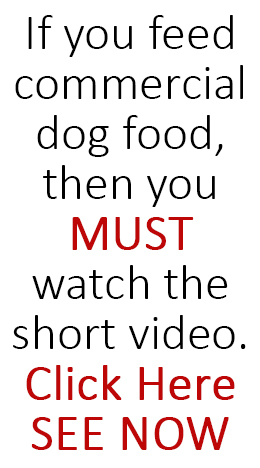 In addition to tumor detection, you should arm yourself with the important knowledge of feeding a dog with cancer. Include specific canine cancer recipes found in my book.